As suggested earlier, HBO is ending Boardwalk Empire with the show’s upcoming fifth season. The cable channel renewed the series in September, shortly after the fourth season began. Season five is set to begin airing this fall. It’s expected that there will be a dozen episodes. What do you think? 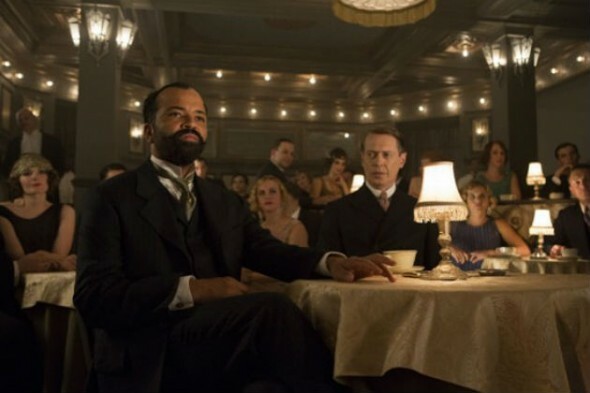 Do you agree with the decision to end Boardwalk Empire? Is this the right time? I look so so forward to each season. I am always upset there aren’t 2 seasons in a 12 month period because the wait is so long. The sets are recreated so accurately & the characters acted out so well. Why kill it off now,I am sure it would continue to be a remarkable show for at least 5 more years. Please Reconsider continuing the show at least for a few more seasons. NO…Don’t cancel there are plenty of other DUMB shows to ax, that are a waste of air time. NOOOOOOOOOOO! This is the best series on television ! It has endless plot possibilities, endless story lines and endless character possibilities. There could be fictional characters as well as historical. This is a very deep gold mine. Eli’s kids are getting older… Al Capone! C’mon Mark Whalberg and Marty Scorsese. you know this is as good as it gets! don’t crush all of you die hard viewers! It’s hard to lose quality television. I say keep it on, I love the series, there is sooo much more they could go on forever. Love them all !!! The series should at least go to 1933, when Prohibition ended. If not that far, how about through 1929. Nucky can jump off of a NY skyscraper when he hears that the stock market has crashed. We are going to miss the murder of Arnold Rothstein and the rise of Lansky and Lucciano if the series is ended in 1926! What about Capone’s story? I could go on and on. This certainly is disappointing news, but, I suppose, it is better to end while the show is on top. This is a remarkable series, and I would love to see it go on for a few years. I believe there is a lot of story left to tell, and to kill it off after just 5 seasons seems short sighted to me. If the Simpsons can stay on television as long as it has, then BoardWalk Empire should be allowed to continue. This is great drama, for the fantastic storyline and actors involved in making the show what it is. So sad Harrow was killed off.. he was a good character! C’mon :((. Really. What about rest of stories?? So much to tell. A fifth season isn’t gonna do it. Pls pls pls reconsider. Best ensemble cast. Although, I could do w/ out Trish Arquette. Love her but not here. Noooooooooo. Stop killing off good characters soooo fast, anf you could stay on for ever.